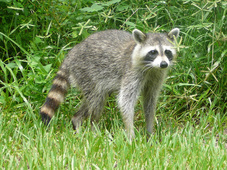 We are able to handle any Forest Grove raccoon removal or control problem. For years we have been solving wildlife problems all over Oregon. Raccoon's are probably the most common critter problem we get called about. Raccoon's are great climbers and can squeeze into very small areas, which means they can find openings in house very easily. We always recommend having your house completely sealed to prevent future wildlife problems. The animal that is living inside your house is not the problem, the real problem is how they are getting into your house. We are able to locate those areas and seal them up after all animals have been removed. For Forest Grove Raccoon Control Call 503-201-2432 Today!